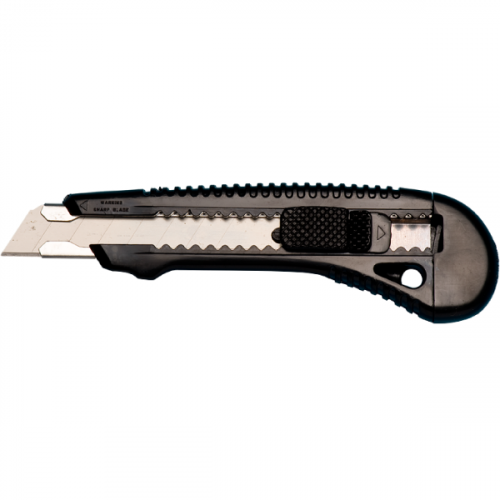 Uses Tach-It B-6, 13 point replacement blade. Perfect for warehouse, shipping room, retail, grocery, and other light and medium cutting applications. 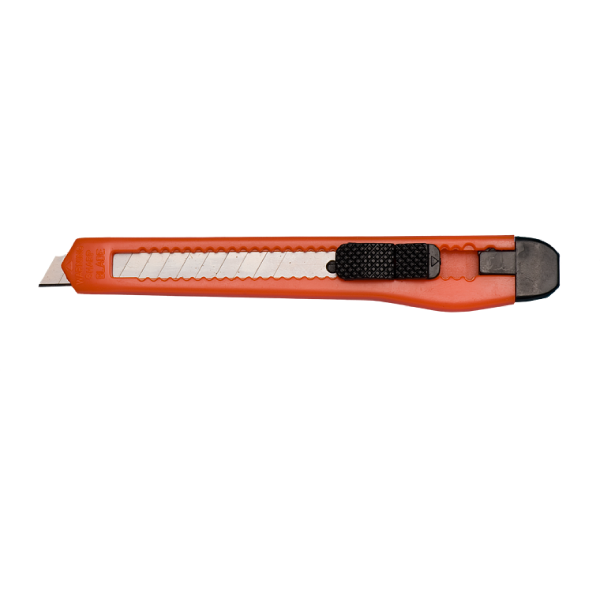 Slim Line, Retractable Blade, Snap Off Box Cutter. The Tach-It Model - S cutter is a sturdy, slim line cutter with a fully retractable 13 point snap off blade, so a new blade is available whenever it is needed. No tools are required for blade changes. 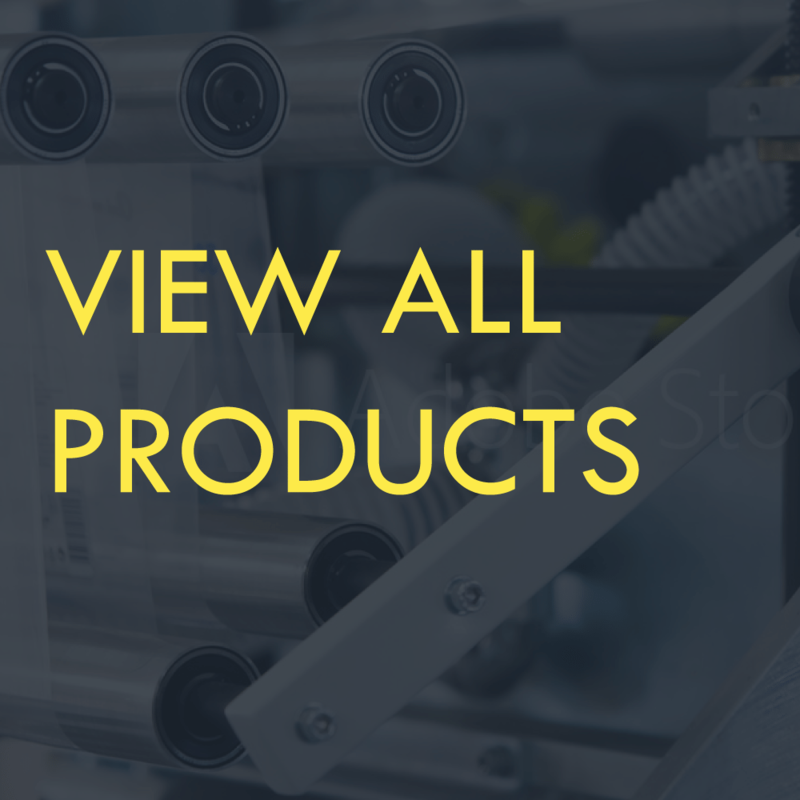 Designed for light or medium cutting applications such as shipping rooms, retail, and supermarkets. 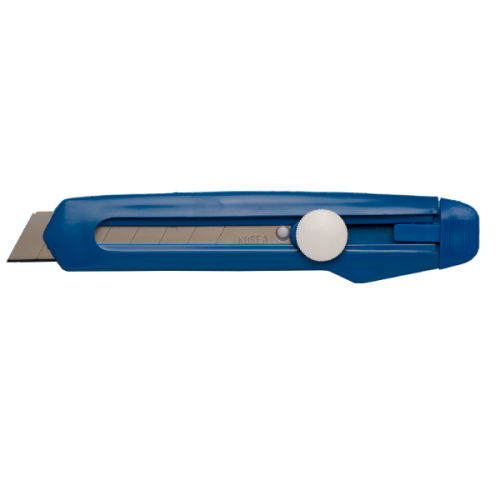 The Model - S Cutter comes with a pocket clip for ease of use and accessibility. Uses Tach-It Style B-6 Blade.